Have you ever looked at your paycheck or bank account and wondered why you didn’t have as much money as you should? If so, you’re not alone since most of us likely do it on a regular basis. No matter what you make per hour, you very likely have more money than you realize. The issue is though that it is incredibly easy to not realize just how much you have until it is far too late to stop a financial crisis. Here’s what I want you to do. Take your paycheck amount and multiply it by four. That amount is your monthly income. Is it more than you thought? For some, it won’t be. For others, it will be a shock. No matter which group you’re in, I’m one-hundred percent positive that there are things you can do to cut back. Even in a true financial crisis, it’s rare for a family to cut their family budget back as far as they can. As I said, it is incredibly easy to trick yourself into believing that you don’t have enough money to pay for your regular expenses or that you don’t have enough to save. Maybe you’re aren’t tracking your expenses the way that you should so you have no real idea of what you’re spending. Maybe you’ve forgotten to identify fixed expenses in your budget so you’re budgeting more than you actually need each month. Maybe you’re not menu planning and are spending too much on groceries each month. All of those things and more can cause your income to appear to be smaller than it actually is. With all of that said, there are things you can do to identify your true income and fix the issues that you may be having. You will need to create a budget that works for your family but doesn’t allow for the missed areas that you likely are missing right now. You’ll need to have that number I asked you to find earlier in this post and you’ll also need to have a family budget. The easiest way to fix your budget is by completely redoing it and starting from scratch. Really take a look at the expenses that you have right now and make sure that you are only adding the necessary ones for the moment. You can worry about fun money or wants later on, but until you figure out where you’re going wrong, only worry about the necessities of life. This is especially important if you’re in a position where you need to stop living paycheck to paycheck. Here is where you will very likely find the majority of your paycheck is going. After you’ve labeled your necessities, take a look at your bank statements for the last three months. You can either add them by category to a spreadsheet or use a budgeting site like Mint.com to help you keep track of them. I personally think that Mint is the better option for most people since it will auto import your expenses so that all you need to do is make sure they’re in the correct category. If you’re the pen and paper sort, buying an expense ledger and a budget book can help too. I personally use both. I record things in “real time” (or as we spend them) in our expense ledger so that later on I can reconcile everything with Mint. It helps me keep on track and makes it so that there is never a forgotten expense more than once. After you’ve got your expenses categorized, pay attention to the areas where you’ve wasted money. This could be eating out, entertainment, a monthly service that you no longer need or really anything. Chances are really good that you are wasting enough money that it is making your paycheck seem smaller than it actually is. Cancel anything that is unnecessary and cut out anything else. Getting comfortable with your finances can be extremely dangerous financially. Trust me, I can vouch. 2013 was an amazing year for my family. So much so that we had gotten comfortable When 2014 hit and we lost thousands in income each month, we were in trouble because we had gotten comfortable. These days, with the job market so unsure, it can be even more dangerous than ever before. Getting comfortable can cause you to stop looking for ways to save, start paying retail again, change your way of thinking across the board or even make you stop updating your budget. If money is getting tight, and you haven’t changed your spending, you’re likely wondering where all of your money is going. Make sure you go back to your roots of saving money and find expenses that you can stop spending money on, things that you can make instead of buying and everything in between to get your spending and waste down. Whenever cash is starting to look short, one of the first things I do is take a look at how much money we’re spending on fun activities. Yes, having fun is important, but it can also eat a huge chunk our of your budget if you’re not careful. Instead of doing something weekly, try every 2 weeks or once a month. Sure, you won’t have quite as much fun, but your budget will be safe. You’ll also want to make sure when you plan your family activities that you look for frugal family fun activities you can do and use sites like Groupon, Entertainment Book and CityPass to save so that you’re not paying full price. Like I said, getting comfortable can cause tremendous damage to your paycheck and eating out is just one of the ways that you can nickel and dime yourself to death without realizing it. When you’re comfortable with what is in your bank account, you tend to spend without even realizing it. If you’re suddenly wondering “where did all of my money go,” take a look at those expenses you gathered earlier and see just how much of your paycheck you have eaten away (literally). Long gone are the days of writing a check to pay a bill and in its place is auto payment expenses or deductions from your paycheck. Things like insurance payments, automated savings withdraws and more can all make the paycheck that we receive seem a lot smaller than it was and if you’ve forgotten about them? It can make things seem a lot worse than they actually might be. If you’ve forgotten about these expenses, make sure you add them to your budget when you re-do it. Forgetting about an expense is also really dangerous financially. If you have one come through when you don’t have enough money, you can end up with pretty hefty NSF fees in your checking account. If that happens, it could take you weeks or even months to climb out of the financial hole that you’re now in. Once you’ve take a look at everything above and have everything taken care of, open a savings account that isn’t connected to your regular bank and transfer the money you were spending into savings. 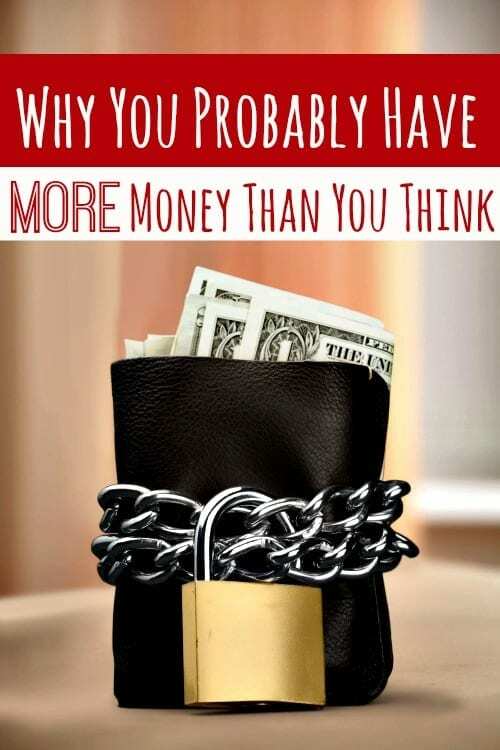 You’d be surprised at how quickly your net worth will jump once you’ve taken care of any waste and you’re fully aware of how much money you actually have coming in each month. By having an external account, you’ll also prevent yourself from using your savings on an impulse buy since it takes 3-4 days for your money to transfer to checking. If your budget is still really tight, you might want to consider taking a side job to add extra income to your budget. Most of them are quick and easy to do. You can also follow my system for adding $225/mo to your income every month if you are still stuck. 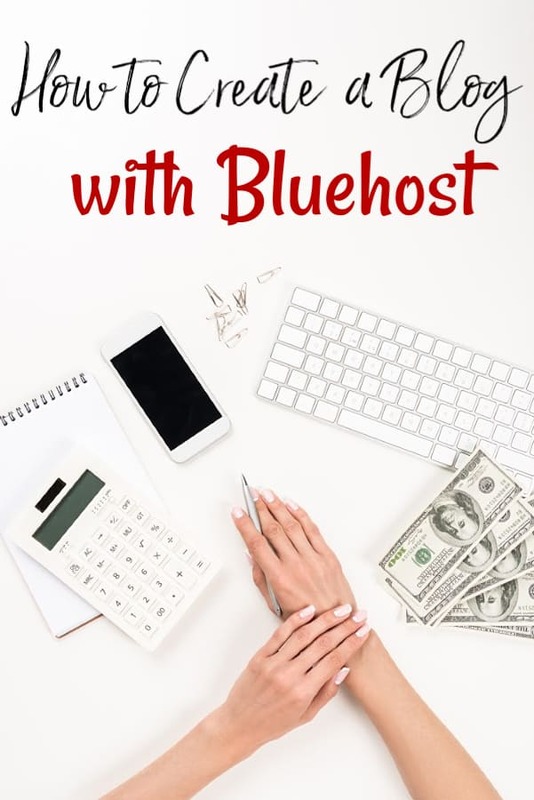 Heck, you could even start a blog just like this one and make money! The possibilities are truly endless once you have your buget under control and are living within your means! I have to say that your blog is one of the better written ones that I read on Pinterest. It is informative, to the point, upbeat without being sappy or boring… I could go on, but you get the drift. Thank you – I will be sure to read more of your articles! Aww shucks. 😉 Thanks for the compliment Linda. It’s great to hear that I’m actually doing what I set out to do. (Reach people).